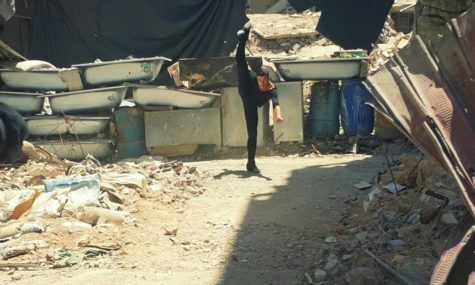 Ahmad Joudeh grew up in a Palestinian refugee camp in Damascus, where his father beat him and ultimately threw him out of the house for continuing to dance ballet. He supported his mother by giving dance lessons, but fled when the Syrian army tried to draft him into the civil war. Renate van der Zee recounts how Joudeh made the semifinals of Beirut’s version of “So You Think You Can Dance” and ended up with the Dutch National Ballet.